Prime Minister Justin Trudeau has made a career of public service in the volunteer sector and in politics. 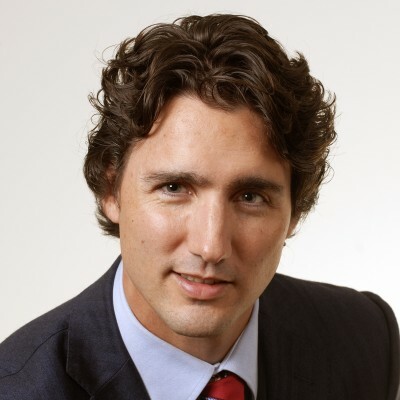 Trudeau completed a Bachelor of Education in 1998 at UBC. After graduation, he taught French and math at West Point Grey Academy, and later at Winston Churchill Secondary School in Vancouver. Between 2002 and 2006, Trudeau served as chair of Katimavik, a national volunteer service program for Canadians aged 17 to 21 who are placed in communities across the country. Trudeau was recruited by the federal Liberals in 2006 to become chair of the party’s Task Force on Youth Renewal. One year later, he decided to enter elected politics, running successfully for the party in a by-election in Papineau, Quebec. He served as the Liberals’ critic for multiculturalism and youth, as well as youth citizenship and immigration, before being named party leader in 2013. In two years as leader, Trudeau has attended over 1,200 events in more than 155 cities and communities. Outside of politics, Trudeau has been an advocate on several issues. In addition to the cause of youth, Trudeau has championed mountain safety. He and his family started the Kokanee Glacier Alpine Campaign for winter sports safety in 2000, two years after his brother died in an avalanche during a ski trip. He is also a strong voice for responsible environmental stewardship and resource development in Canada’s north.